While the original Katamari Damacy didn’t launch for the Nintendo GameCube, in fact, it was a PS2 exclusive, the prototype was actually made on a Nintendo GameCube. During the time of development, the PlayStation’s developer documentation and library were pretty badly done up and it was extremely difficult for the developers to develop for it. This is in contrast to the GameCube’s ease of development. To get a working prototype done up quickly and on time, the Katamari Damacy team thought that it was best to prototype the game on the Nintendo Gamecube. But the PS2 documentation and development libraries were outdated, and Sony didn’t provide a development kit or software tools to make the process of creating games easier for potential developers. Instead the company assumed that the developer would just figure out the new hardware, perhaps hoping that the resulting games would be better for having overcome the struggle. Although it’s since gone down in history as the best-selling console of all time, the PS2 maintained a reputation of being extremely difficult to develop for. 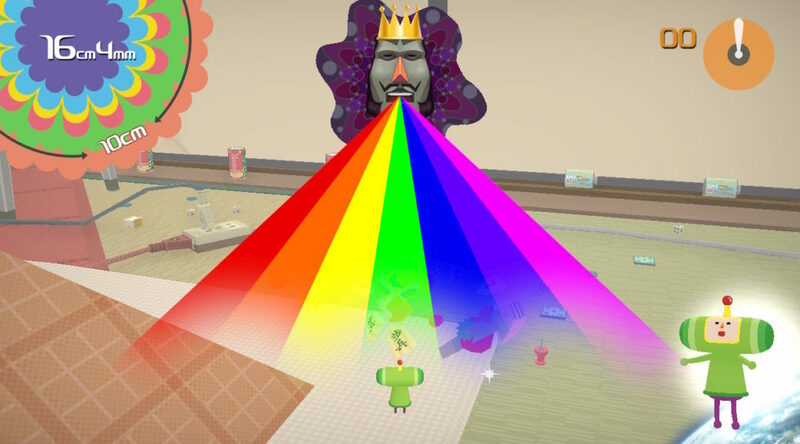 Between Nintendo’s developer-friendly outreach and the released specs for the PS2 indicating it would be a difficult path for even experienced game developers, the choice was clear to the Katamari team: Even though they wanted to release the game on the PS2, they needed to use the GameCube platform to develop the prototype. In one full circle, Katamari Damacy’s remaster, Katamari Damacy Reroll will be released on the Nintendo Switch later this year on 7 December 2018. Americas eShop Update: Praise the Sun!